Senior Sarah May kicks into high gear as she races towards the finish line at the WSC Silver Division conference meet. Oct. 13, 2018. Cross country all-conference, especially on the varsity level, is an incredibly hard feat to accomplish in the West Suburban Conference. 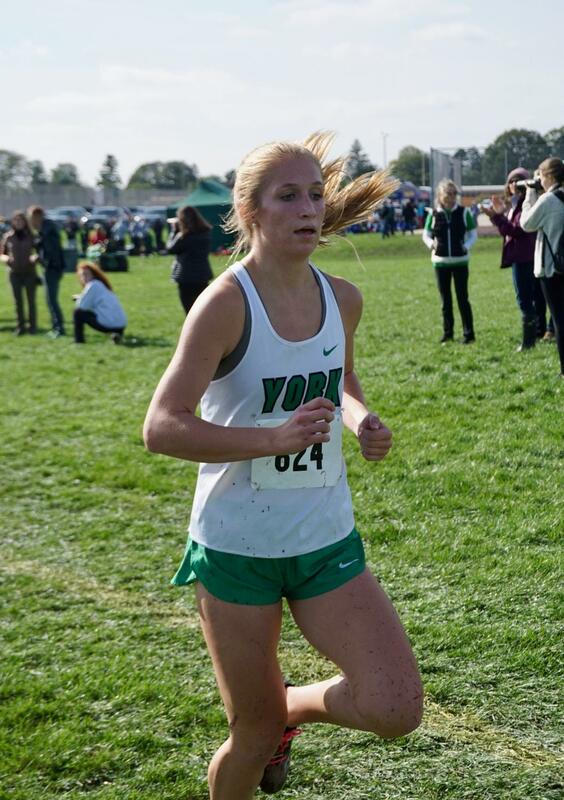 The WSC has some of the toughest competition in the state and even the country, yet senior Sarah May has managed to make all-conference all four years of her high school running career. 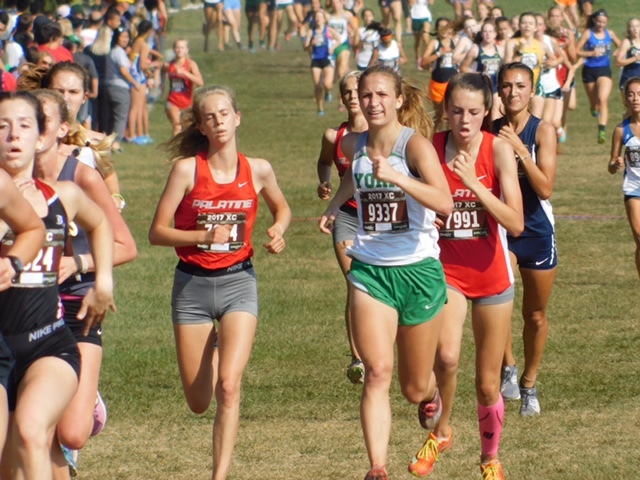 Sarah May, junior, strides out ahead to pass her competition during the last 400 meters of the varsity race. Less than 35 girls have received the honor of all-conference for four years in the history of the WSC, making it one of the most prestigious awards for a cross-country athlete to receive. May has worked hard year-round, running in the mornings before school, at night after summer practices and anytime she could fit in a run to increase her weekly mileage. 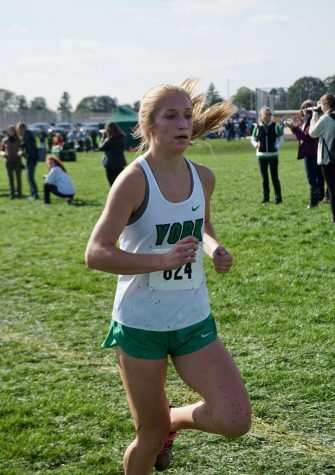 Her dedication to the sport has resulted in many accomplishments throughout her four-year running career, such as placing top 25 in the state meet and qualifying individually in the 800-meter race her sophomore year and the 1600 meter race her junior year for track. 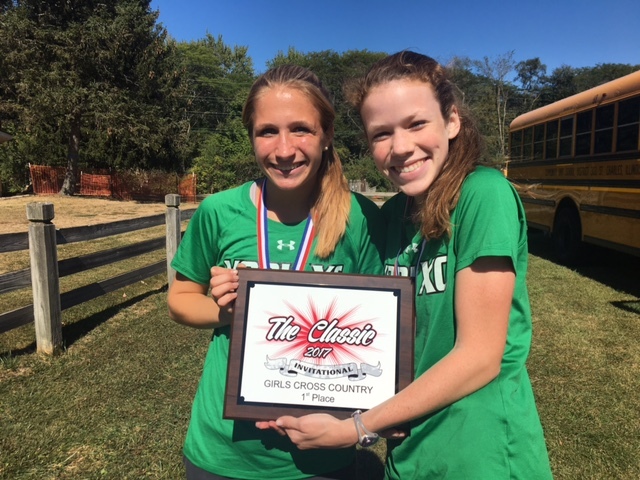 May has been a leader on the team, taking girls under her wing and showing them the ropes of varsity running and has led the varsity team to top 5 finishes and qualifications for the state meet the past three years. With all of her hard work and dedication to the sport of running, this prestigious honor of four years of all-conference could not have been received by a more deserving person. Now, in the heart of the state series, May is working even harder trying to drop her times to help the team qualify for state and with the support of the entire school behind her, big things are in store for her over the next three weeks.